Improve productivity and drive motivation in the workplace by building trust, communication, and collaboration. Our team building games transport participants to parallel worlds for outrageously fun adventures that are grounded in reality. Develop trust among teammates, reignite their energy and connect them on a personal level through maximum interaction and shared goals. – Train feedback and peer-to-peer communication. – Practice work together to achieve a common goal vs individual success. … and most of all, to have a great fun time together! We can design for teams big or small – teams of 5 to 500 have played our games to resounding success. Just approach us for a no-obligations consultation. Ever wanted to create your own country? Satisfy your inner megolomanic in this lighthearted game where teams have to jointly build a nation of happy residents, while ensuring their own individual nation-states are satisfied. The Business Game that scores! Create your dream football team, fish for lucrative sponsorships and dodge press scandals in a team-building game that has you experience the fascinating world behind football. No knowledge or interest in football required to love the game. Power through a series of obstacle courses as ONE. Literally. Tied to each other at the wrist, participants must navigate challenges while leaving no man behind. Serving as the executive committee on the Tourism Board you will explore the Landmarks, Attractions and Cultural highlights of Ireland. You will shape your own version of the most attractive Ireland for inhabitants and tourists alike! Step out of the office and into the wild. 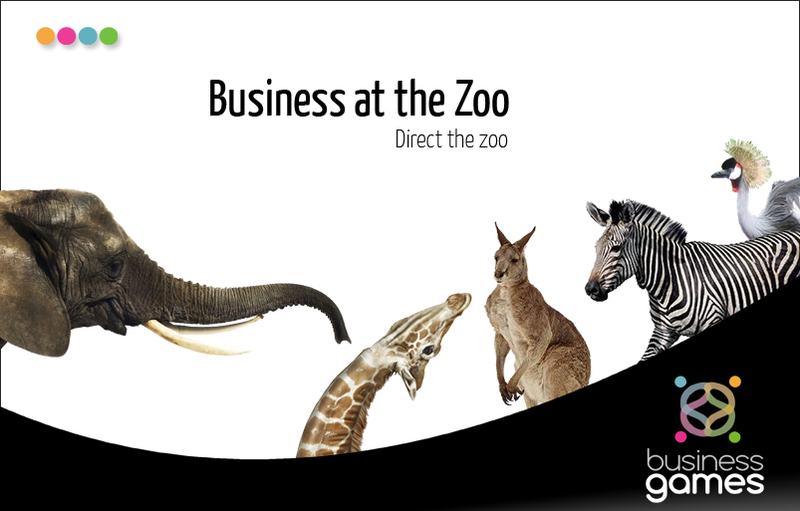 As zoo owners, teams must face unexpected challenges in a bid to grow a world-class zoo. Tie off, apron on. In this deliciously intense game, teams play opposing kitchen crews that must compete and collaborate for ingredients that unlock tasty dishes. For the race to be successful, you need to have all the components working together and the teams to all work together forming agreements and working out the best strategy for the game. Not sure what’s the best Team Building Game for your team or event? We can help! Just tell us a bit more below and we’ll gladly advise, or call +353 87 633 8687 from Ireland and +44 745 210 5694 from UK. Team building games are interactive, fun and creative team training sessions in which participants work together in an intelligent and light-hearted way. During these games we focus on bringing the individual and team performances to a higher level. The objective is always to get the group functioning more optimally as an effective team. A team with a positive team spirit with clear roles and responsibilities. When a team is well connected, productive and has a great atmosphere, the business results will automatically follow. During our team building games, teams are conveyed to an attractive business world that serves as a metaphor for your own business context. The games thus represent a simulation of the real business world. By using a metaphor from reality, you create a ‘safe’ distance from the working environment for your employees, but you can still easily translate the ‘outcome’. Many elements of the business world re-emerge in the team building games, with realms of experience like running a country, a zoo and football stadiums. You choose which realm of experience you think your employees will most appreciate or where you think you can get the most profit out of it. Team building games can be played at inspiring locations (such as a zoo, football stadium or the beach) or simply at your business. Can’t wait to get to work with your team? Then choose a metaphor that appeals to you or contact us to discuss your ideas. If you have an issue in mind that is not mentioned below, however crazy you think it might be, we’ll be happy to work with you on a customized team building Game. Contact us nowContact us nowContact us for more information about Team building Games for your company!